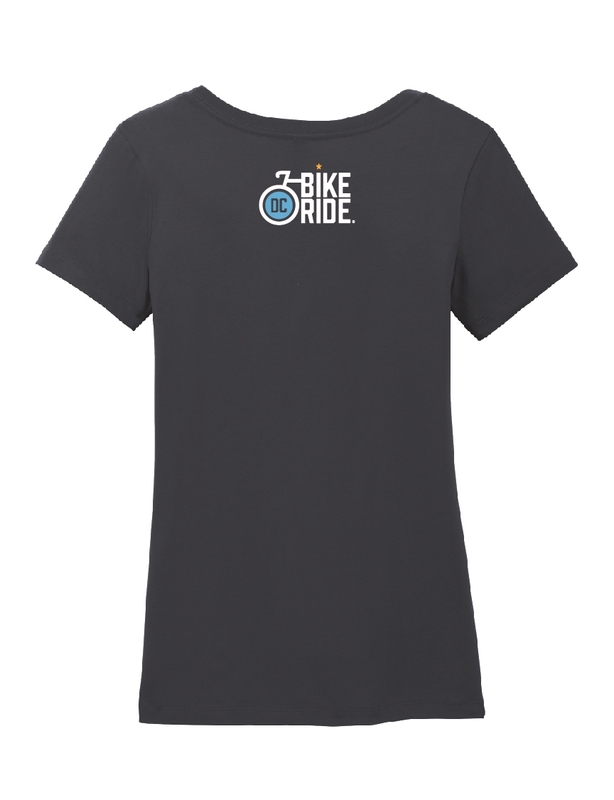 Whether you are out for a casual ride or catching a game, this soft, navy blue t-shirt is perfect for any occasion. 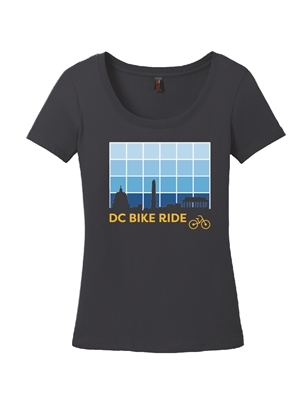 The shirt has a scoop neck and features a modern city grid graphic featuring the DC skyline and DCBR logo on the back. This is a ladies cut t-shirt.